Digital magazine. Email. Podcasts. Webinars. Sponsored content. We make a lot of stuff, and I believe it’s our job to provide the best possible education for marketers and business owners, and then help connect our audience to worthwhile, trusted companies. 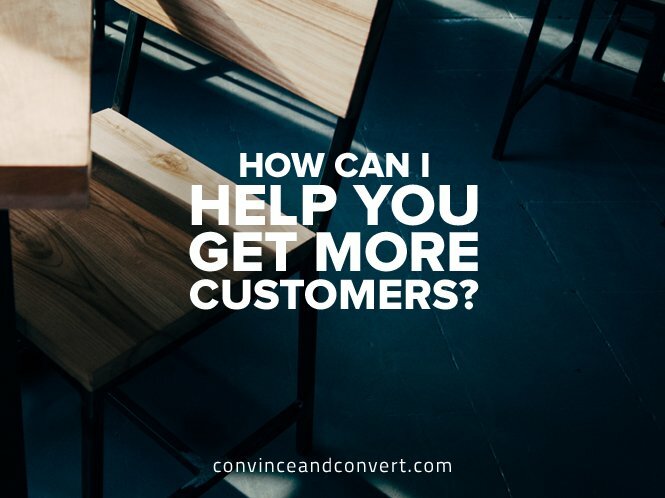 My team at Convince & Convert Media and I help our partners increase leads and generate sales by putting the right message in front of the perfect audience. Our Convince & Convert digital magazine is one of the most popular marketing resources on the planet, and has been named the best content marketing blog and #3 social media blog. Our network of podcasts delivers hyper-targeted audiences in a compelling weekly format, and I’m bringing back the Jay Today video show soon. Our Definitive email is extraordinarily popular world-wide among marketing professionals, and we generate hundreds of leads for our partners each time we send an email on their behalf. We also work with our partners and sponsors on joint Webinars, ebooks, events, retargeting ads, and a variety of other executions. I am SO excited about what we’re doing on the Media side, and what we’ve got planned for next year. I love our partners, and I’m excited to do a ton of cool stuff. Our current sponsors include Salesforce, Oracle, SproutSocial, Cision, TapInfluence, JanRain, RivalIQ, Uberflip and many more. We’d love to work with your company, if you’re interested. How can we help you? Your company IS a media company (or at least it can be). Our media division and our consulting division converge to provide outstanding digital media advice and counsel to major companies like Insight, Cisco, and The Motley Fool. We take our world-class media expertise and deploy it on your behalf, helping you create your own podcasts, blogs, video series, and other executions that will become required reading/viewing/listening for your customers and prospects. Contact us and we’ll be in touch immediately to set up a no obligation, pain-free conversation.